Usually when we build a house, the pipes come first and the interior walls are later added in around them in order to hide those pesky metal tubes that keep us warm, cold, lit up, and watered. But when we’re moving into a refurbished home or a loft, it’s quite common to suddenly find ourselves faced with a lot of exposed pipes. Some are quite easy to handle and can be comfortably hidden inside a cupboard or behind a shelf, others pop up at seemingly random places in the middle of the room and can be a real pain to work around. No matter where in your home you find those pipes, there are ways to work with and around them, some of them fun, some of them bold, and all of them creative! So, settle in and let us show you how you can hide your exposed pipes! Yes, our first tip is to not hide them at all! Embrace those supposed blemishes, dare to be bold, and unapologetically draw the eyes of everyone stepping inside your house to them. How, you ask? Paint them! 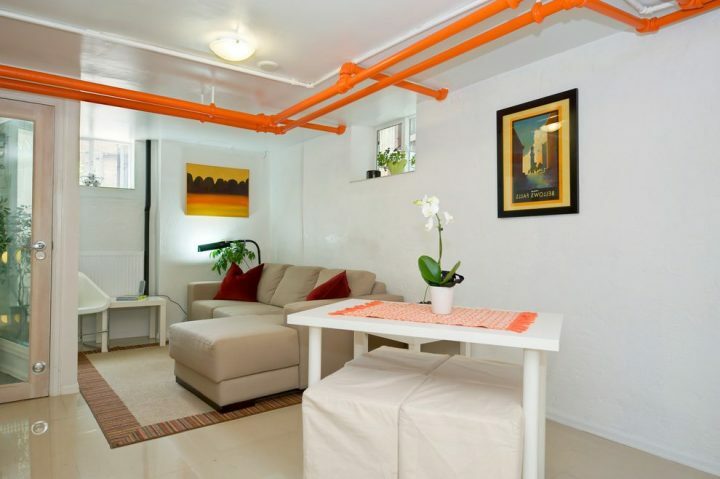 Find a bold, bright colour you love and that fits your overall room design, and make those exposed pipes shine! And if you don’t feel brave enough to go for bright colours, you can go for a matte black or slate grey to create a quiet, elegant look. Wrapping exposed pipes with a material that fits your overall decor or furniture is always an option. 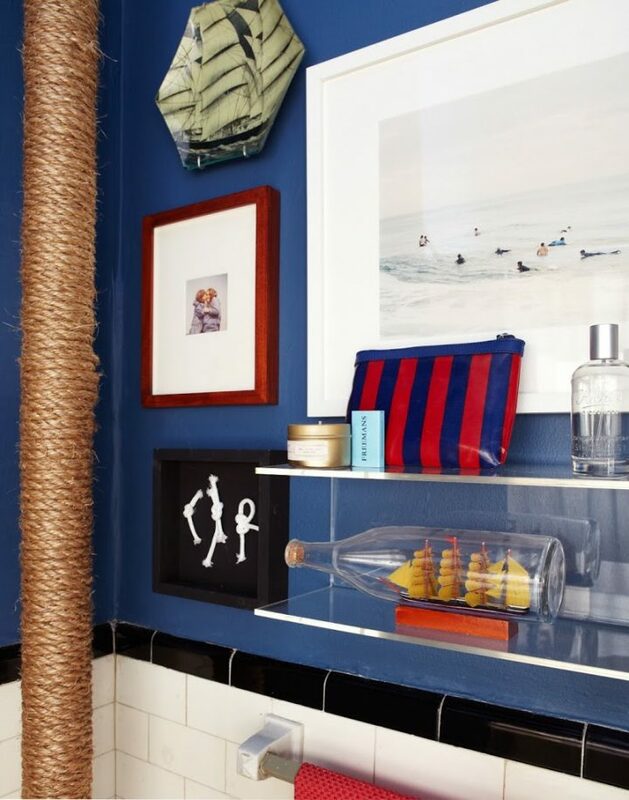 There are quite a few easy-to-do ways of hiding exposed pipes this way, ranging from slicing bamboo poles open to slip them ofter smaller pipes, to adhesive “wood”-foil, or the incredibly stylish idea of wrapping the pipe with ropes. 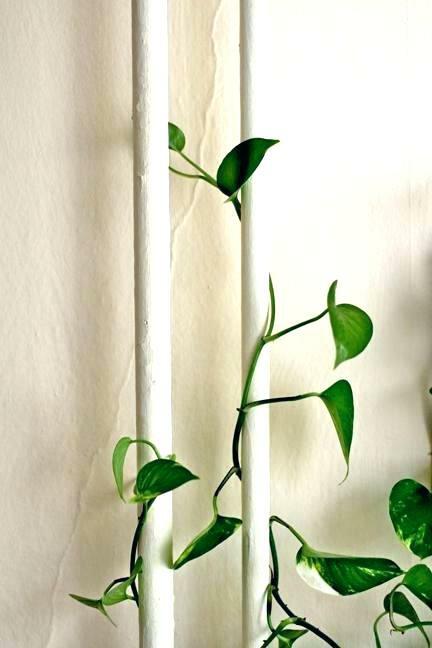 No matter if you have a seemingly random piece of exposed pipe standing around somewhere in your room, or if you end up with one affixed to a wall, a great way of making use of them is by growing a climbing plant next to it, so that the vines can use it as trellis. We all need more storage space in our homes, so why not make use of those pesky pipe that randomly stands a few inches off your wall?! With the help of sturdy clamps you can easily convert your exposed pipe into one of the side”boards” of your new bookshelf. Just mount them at whatever height you want your shelves to be, and you’re half-way done already! 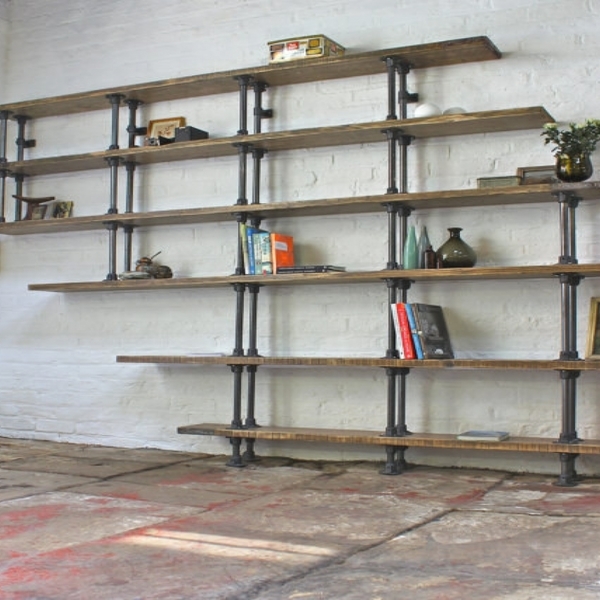 And if you want to go all in, you can fashion the whole shelf out of similar pipes. If you’re dealing with pipes that run along/under your ceiling, make use of them! 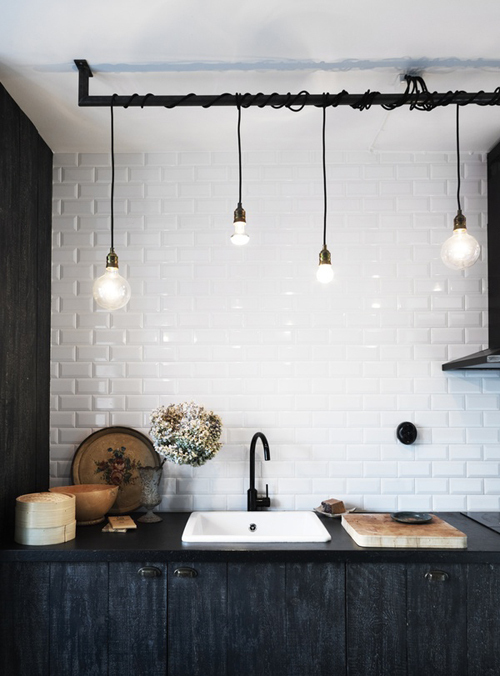 Exposed pipes are a great way to add unique lighting to your home! Wrap strands of colourful or uni lights around the pipes to create a star-studded sky, or wrap your main light sources around them to create an exciting new type of lamp! 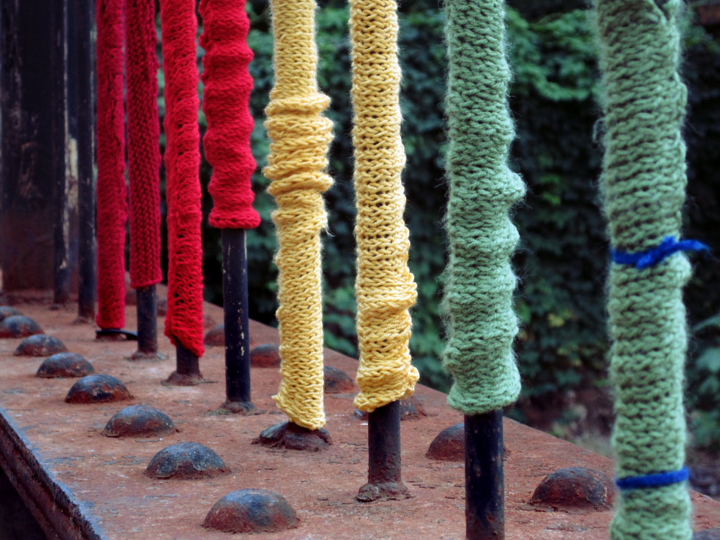 It might not be for everybody, but if you’re a knitter in the first place, why not create a brightly-coloured “scarf” for your pipes? 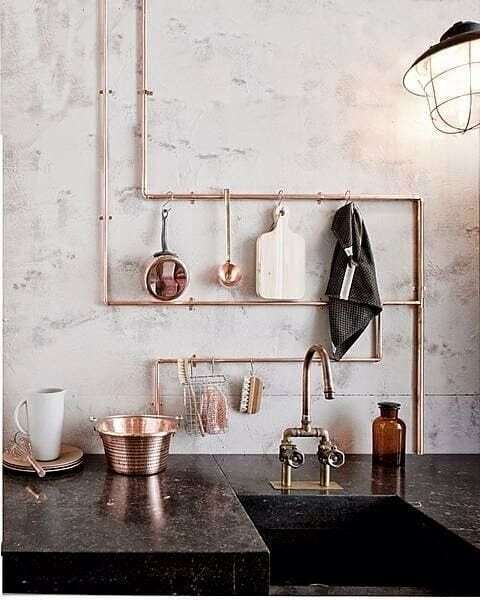 Make use of what life deals you, and use your exposed pipes as opportunity to hang things from them. Whether you chose to employ them as a means to store your pans in the kitchen, create hanging baskets for potted plants, or just use them instead of a coat rack, the possibilities are nearly endless! Maybe the most obvious way of dealing with exposed pipes is hiding them in whatever furniture fits the room. For those pipes that handily run along walls, hiding them inside cupboards or behind shelves might be the best solution. And if you have a pipe in the middle of the room? Well, there’s a solution for that as well! There are square, box-like covers you can erect around your pipes that will make the pipe appear as a (stone, wood, etc.) pillar that holds your ceiling up.